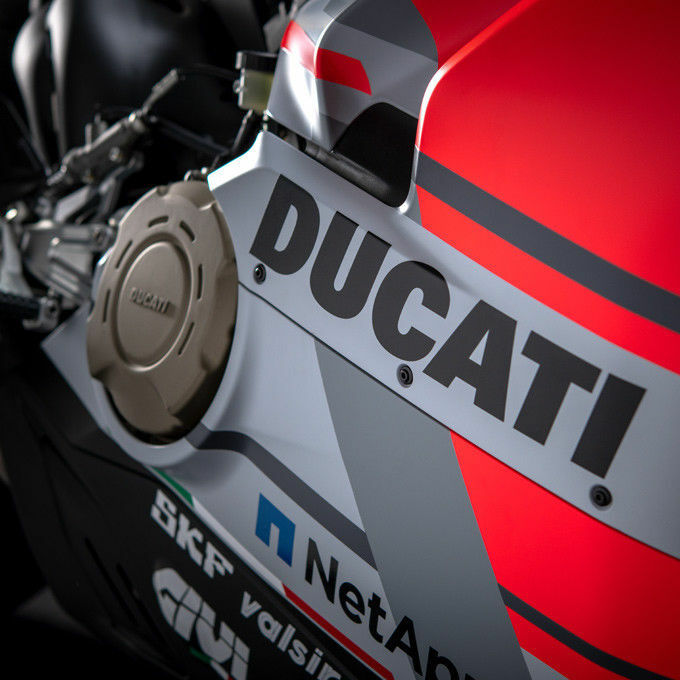 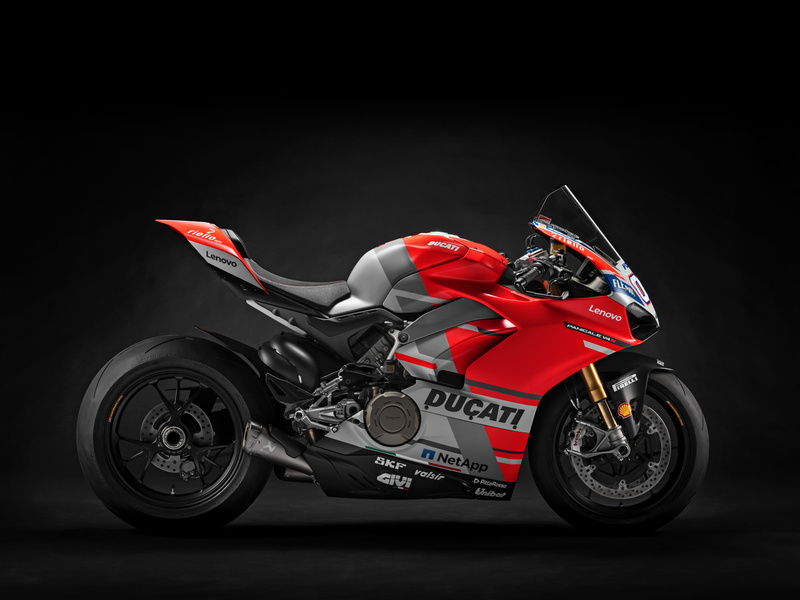 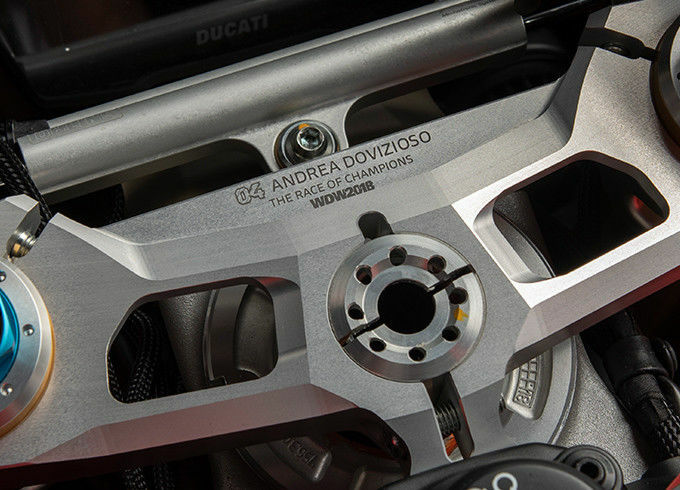 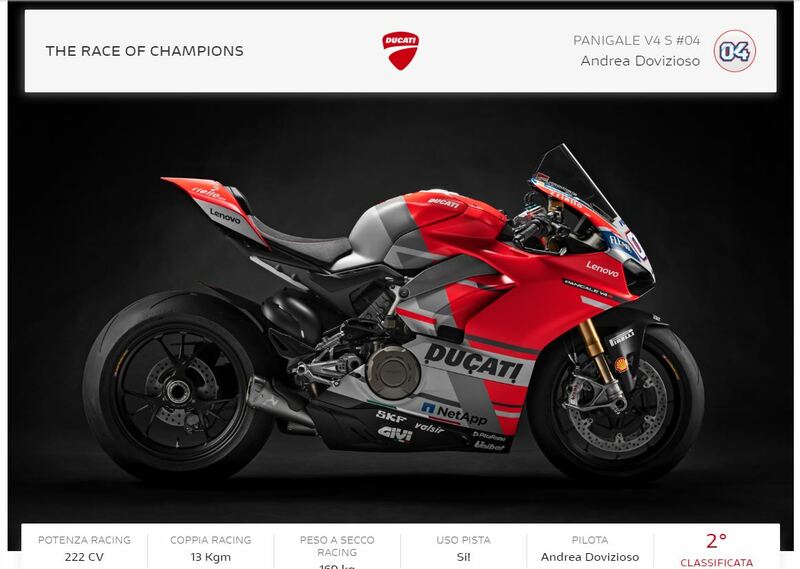 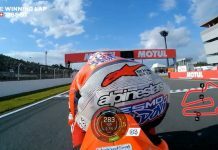 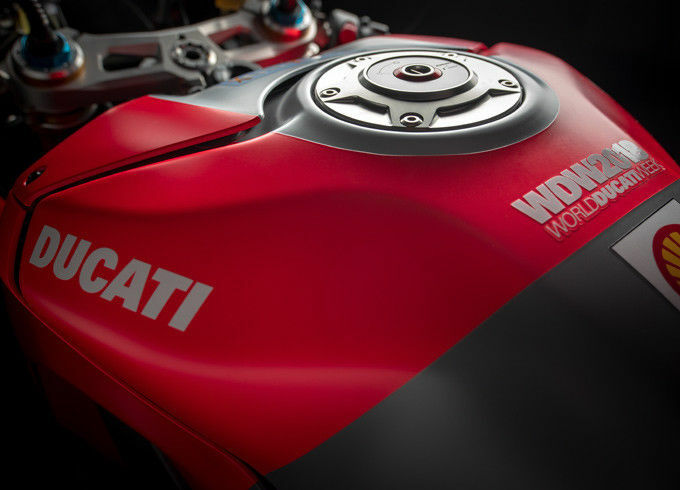 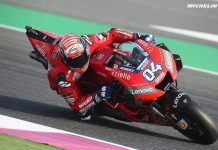 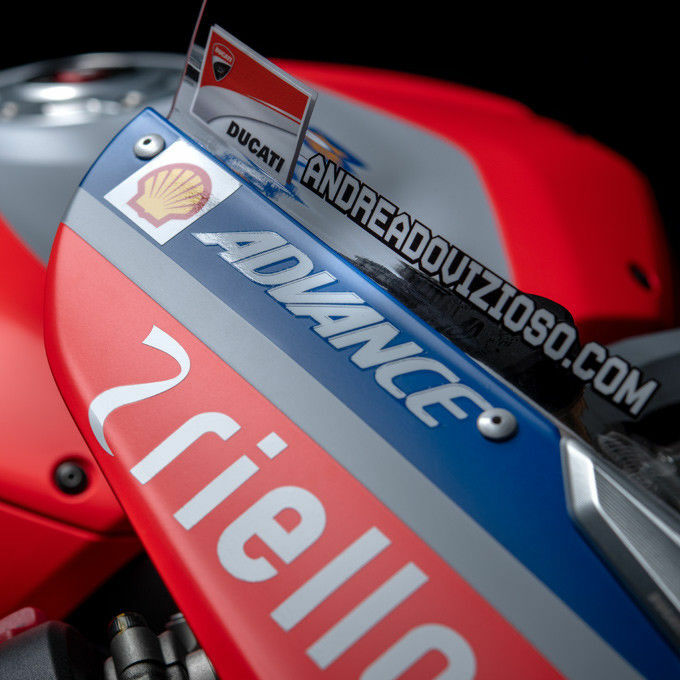 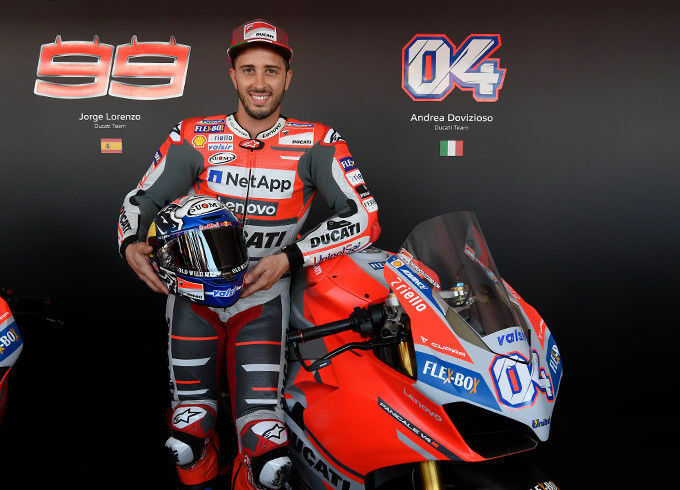 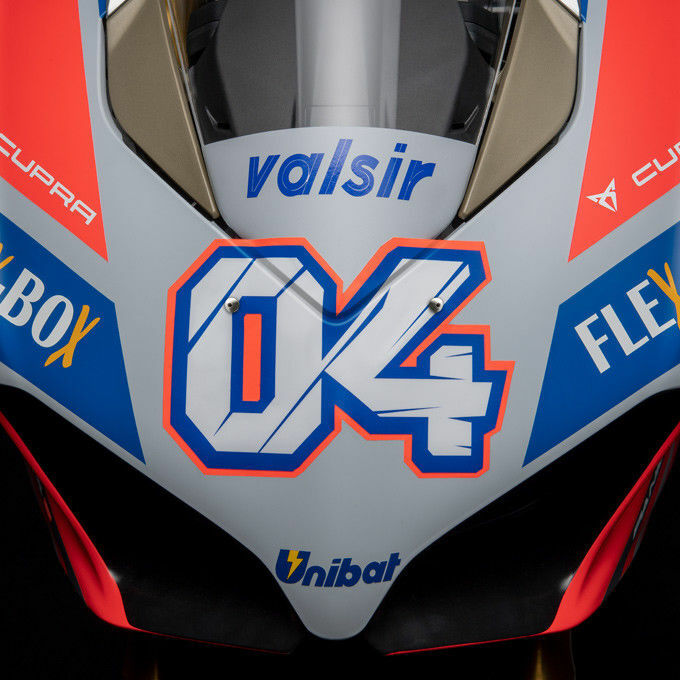 Prepared for racing by Ducati using Ducati Performance components and personalized with the racing bike replica livery of the professional motorcycle racer Andrea Dovizioso whose name and race number are laser engraved on the steering head. 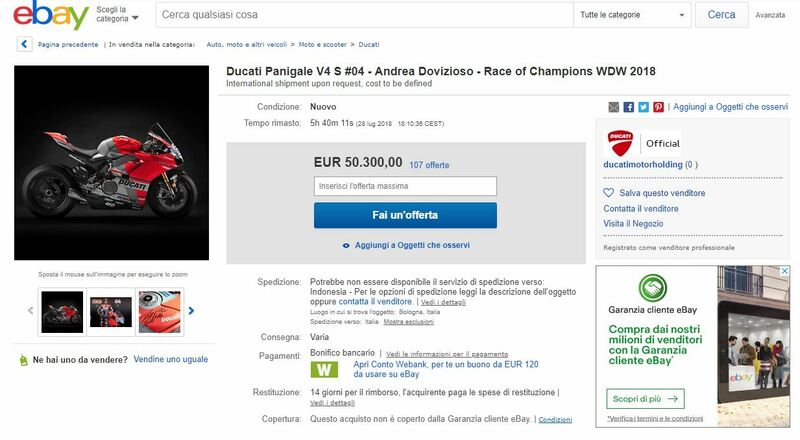 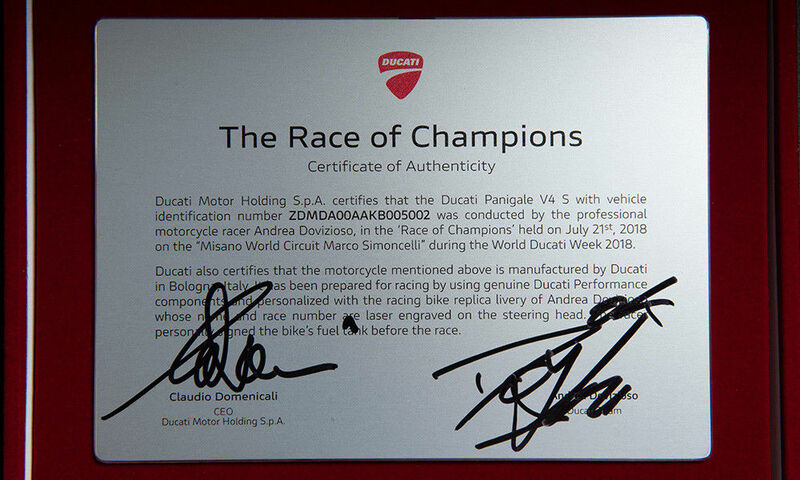 The bike was conducted by Andrea Dovizioso, during the ‘Race of Champions’ held on July 21st, 2018 on the “Misano World Circuit Marco Simoncelli” during the World Ducati Week 2018. 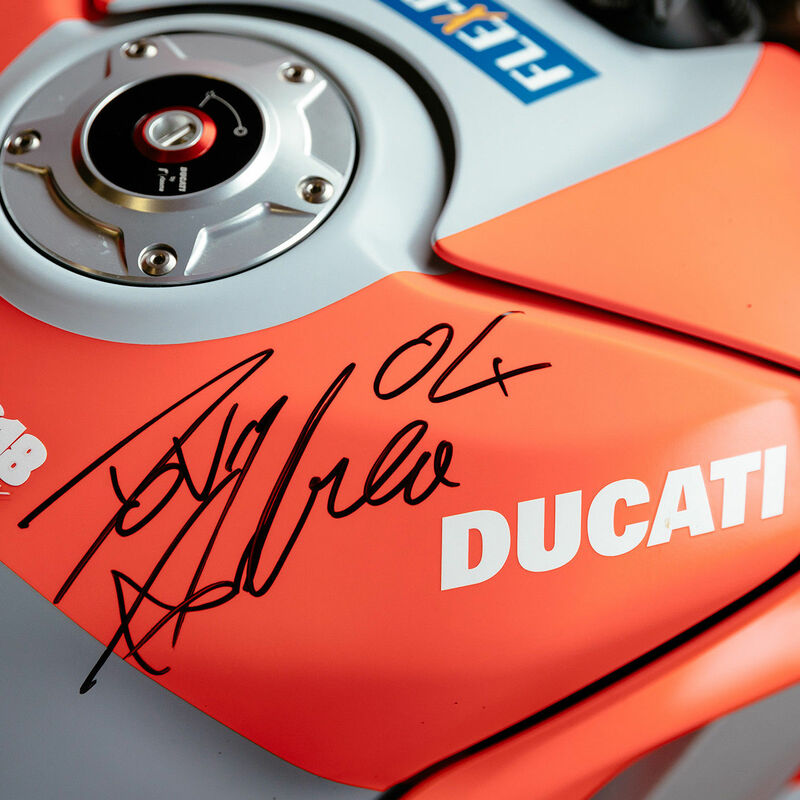 The racer personally signed the bike’s fuel tank before the race.